If you’re a social media novice, hashtags may seem confusing and unnecessary, but they are integral to the way we communicate online. It’s important to know how to use them. Plus, they can be a lot of fun! 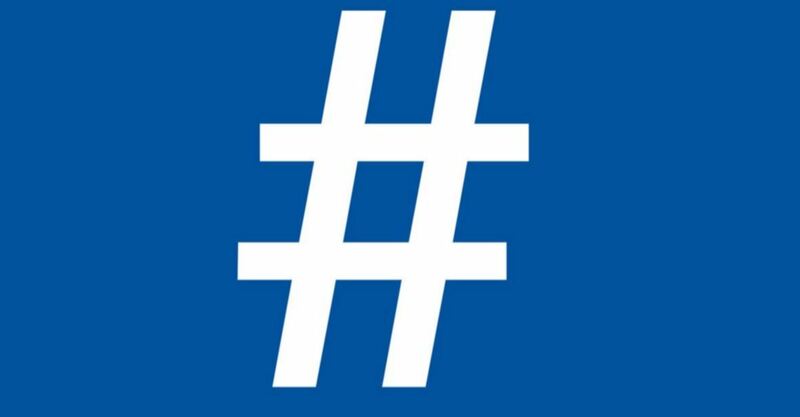 Basically, a hashtag is a label that makes it easier to find messages with a specific theme or content. Users create and use hashtags by placing the hash character or number sign (#) in front of a word or unspaced phrase, either in the main text of a message or at the end. Searching for that hashtag will then show each message that has been tagged with it. Twitter is the birthplace of modern hashtag usage — as such, its hashtags are more versatile than on other sites. Twitter hashtags turn any word or group of words that directly follow it into a searchable link. This allows you to organize content and track discussion topics based on those keywords. No spaces – Even if your hashtag contains multiple words, group them all together. If you want to differentiate between words, use capitals instead. Uppercase letters will not alter your search results. Punctuation marks are not ok. Forget about asterisks, ampersands, or any other special characters. Use hashtags that other businesses in your field are using. Use hashtags that are trending and are relevant to your business. If you want to create a special hashtag for an event, use one that hasn’t been used before and remind everyone to use it in related posts. Be sure to include the hashtag in any promotional materials. Make sure your hashtag is specific and relevant to your topic. Don’t use the same hashtag more than once in a post. It’s #redundant. I stumbledupon it 😉 I’m going to come back yet again since i have saved as a favorite it.